Mobileum, the leader in roaming and analytics solutions for telecom business transformation has entered into an alliance with leading wholesale telecoms platform provider Linxa to extend the market reach of their respective product portfolios. Mobileum provides roaming and data analytics solutions that generate revenue, reduce costs and accelerate digital transformation with particular focus on domains such as roaming, fraud and security. Linxa’s platform empowers service providers to grow their wholesale business by simplifying the interconnect process for Voice, SMS and OTT service providers; providing a comprehensive set of tools for managing and optimizing wholesale business; and automating the end-to-end processes involved in rating, routing, monitoring, billing along with Linxa’s OSS/BSS - Class 4 Soft switch, SIP Proxy and Blockchain Gateway. 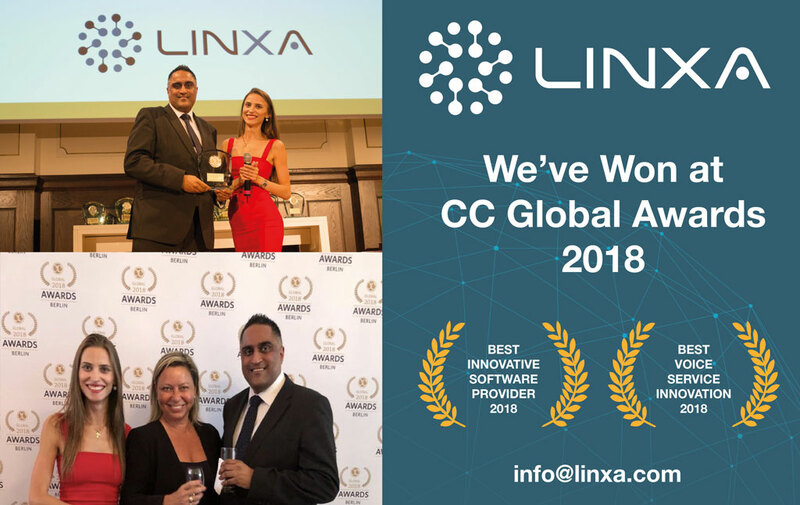 The Linxa platform was recognised by the Carrier Community for Best Service Innovation and Best Innovation Service Provider at its annual CC Global Awards in Berlin in June 2018. Written on 23 June 2018 . BERLIN, 18 June 2018 – Linxa, a leading Wholesale Telecoms platform provider, has been recognized by the Carrier Community for Best Service Innovation and Best Innovative Service Provider at its annual CC Global Awards in Berlin. It adds the renowned GCCM awards to an already impressive list of accolades for its innovative platform. Linxa was also shortlisted for the Customer Experience Excellence award during the CEE 2018 GCCM event. Written on 28 November 2017 . 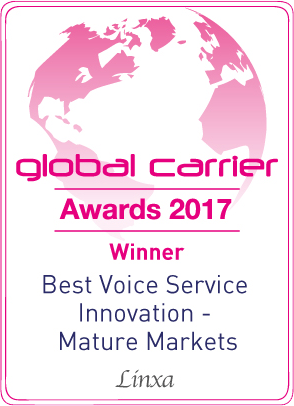 Linxa won the Best Voice Service Innovation – Mature Markets award on 25 October 2017, at the Global Carrier Awards 2017, in a brand new London location. The winner in this category went to an integrated software solution that enables operators to manage all aspects of wholesale voice business (rating, routing, billing, reporting, fraud management) from a single, web-based interface. Over the past 13 years, the Global Carrier Awards has become the biggest and most prestigious awards event in the carrier community. This year’s event was attended by 400 senior-level executives, celebrating the highs in the global wholesale industry with an evening of fine dining and entertainment. With a record number of over 225 entries submitted for this year's awards, all categories were judged by an independent panel of telecoms analysts, industry experts and the senior editorial team of Capacity Media. Linxa Connect platform is delivered via the Cloud and includes a proprietary routing distribution algorithm that boosts profitability by up to 20%, while significantly increasing quality and performance. It uses proprietary data processing technology for an innovative approach that allows the platform to perform more than 500x faster than traditional legacy platforms. Epsilon has a reputation for delivering new innovations in the market and we are proud to be supporting its intelligent Voice solutions. We built our platform to go beyond what is currently available in the market and offer Voice service providers maximum efficiency and agility in a changing marketing," said Ali Gazioglu, Chief Operating Officer and Co-founder at Linxa. "We look forward to supporting Epsilon as it accelerates its growth and profitability in Web RTC, UCaaS and SIP Trunking. It believes in new insights, innovation and intelligence and that is what we deliver."